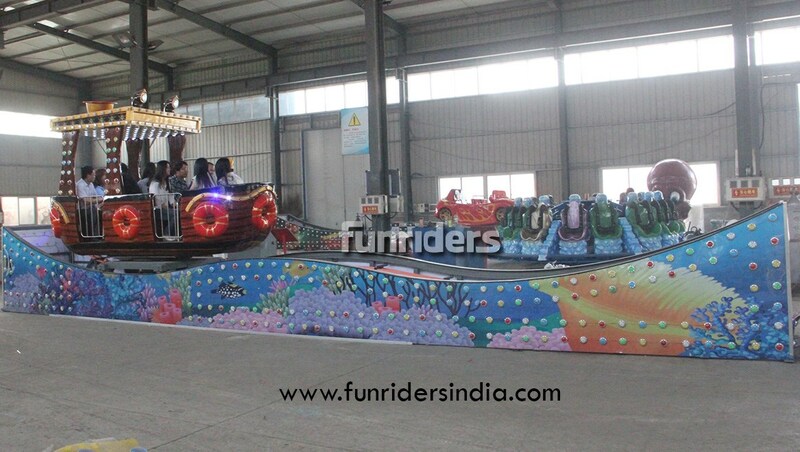 Set sail for adventure on this innovative family ride Rocking to back and forth and rotates as it rocks, which gives riders the feeling of boating on high seas and surfed moments in minds of customers and have a rocking fun families can come up as for a trip on the high seas. And experience the thrill ride with their family,this tugs or boat take us an award winning ride that combines a rocking and whirling motion in one. As the tug boat begins to spin, it rocks back and forth; up and down the half pipe shaped track. Being a sea-faring ride that simulates the gentle motion and tugged feel of ocean waves. The boat or tug concept allied with rocking motion in a oceanic concepts, makes it eye and mind arresting feel in riders .